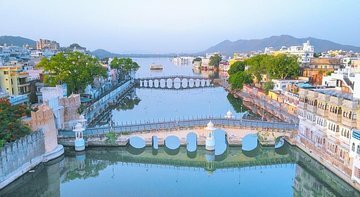 Spend a day visiting the must-see sights of Udaipur without worrying about logistics, on this convenient full-day excursion. After touring the palaces, temples, markets, and other highlights of the city, you’ll top the day off with a sunset cruise on the pretty Lake Pichola. Your English-speaking guide will tell you all about the culture and history of Udaipur, so you have the best possible experience of this lovely city.